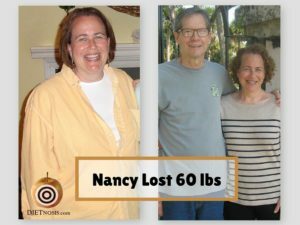 How did Nancy Berry Lose 60 Pounds and Keep It Off By Helping Her Husband Lose Weight? 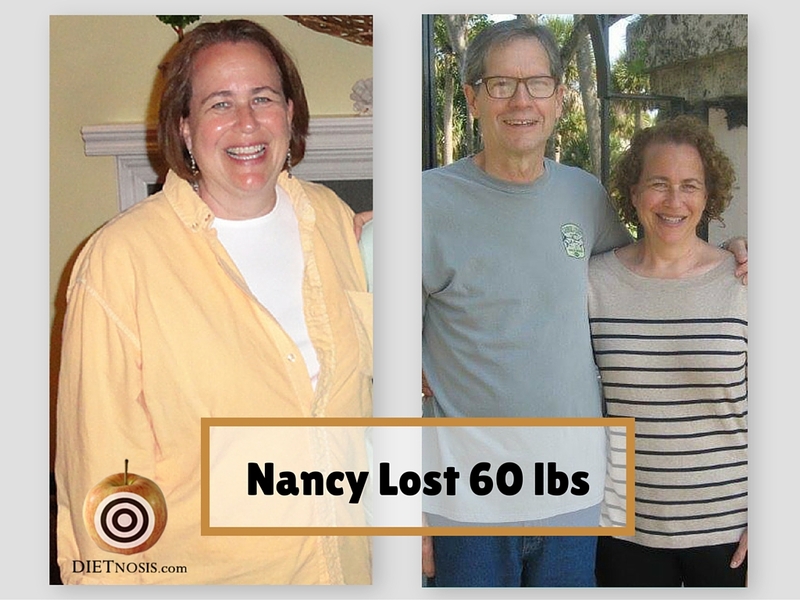 Nancy, Tell us about your weight loss journey after starting a whole-food, plant-based diet. By going on a whole-foods, plant-based diet, I lost 60 pounds (50 in the first year, 10 the next). My weight is easily maintained with seemingly no effort. What a surprise after my initial, sometimes hostile resistance to this way of eating! My husband announced one day that we were going to start eating whole-food plant-based. Of course it was up to me to translate that grand statement into 3 meals a day, 7 days a week. Grrrr! As with many things these days, if you scratch the surface of any particular interest, you find whole communities of like minded people you never knew existed. I found bloggers, Facebook groups, etc, and quickly built up a set of reliable, repeatable recipes. Miraculously, these meals were more satisfying, better tasting, easier to prepare and clean up than anything I used to make. We started to really like our hearty, flavorful plant based meals. Then the magic really happened. The weight started falling off. There are ways to lose weight quickly on this way of eating, but I was in it for the long haul, so I enjoyed the occasional plant-based treat and celebrated my steady loss of about a pound a week. In the early months, doubt plagued me. How would this be different than the 38 years of diet cycles I’d already lived through? I would have 3 to 6 months of euphoric compliance to whatever diet, followed by months of backsliding. I would have desperate negotiations with myself like, “don’t do it! Don’t eat that cupcake.” This would be followed by weight gain and shame! When would the plant based success where-off? Sometime between 6 to 9 months into this lifestyle change, I realized that I was at peace with food. I WAS AT PEACE WITH FOOD! I had a week of meals lined up that I loved. I ate whenever I was hungry. I was no longer obese. My blood sugar and cholesterol numbers were better than they’d ever been and so were my husband’s. There would be no backsliding! After 3 years in, this way of eating gets easier and easier. A major aha moment for me was that the mindset of moderation that I used to think was the gold standard of dieting, was actually a constant, daily torment. I’d start out strong on a new diet and then after a few weeks or months, I’d start negotiating with myself “you can have this now if you eat less later.” So I’d eat something a little extra at lunch, then give in all over again at dinner. It led to cycles of shame and frustration. On the WFPB way, there is always something fun, tasty and satisfying to eat. If I’m hungry I eat more. If I’m not, I eat less. My weight stays rock solid with none of the old fluctuation. We all make change when we’re ready. I sure came to this way of eating kicking and screaming, but after a month of eating this way, I wished I’d found it 30 years ago. When I think of all the years of torment I could have avoided. Tell us more about how you felt before you started. From age 10 to 48, I lived through cycles of hope and despair as each new attempt at dieting failed. When I started losing weight on the whole-foods plant-based diet, I remember thinking “please don’t let anyone notice until I’m sure this is going to stick.” I couldn’t face the shame of gaining the weight back again. I only did this initially because my husband has serious heart disease and he was convinced it would save his life. As a Helper, I felt compelled to do what I could to make him successful. Turns out I was helping myself too! I gathered information. 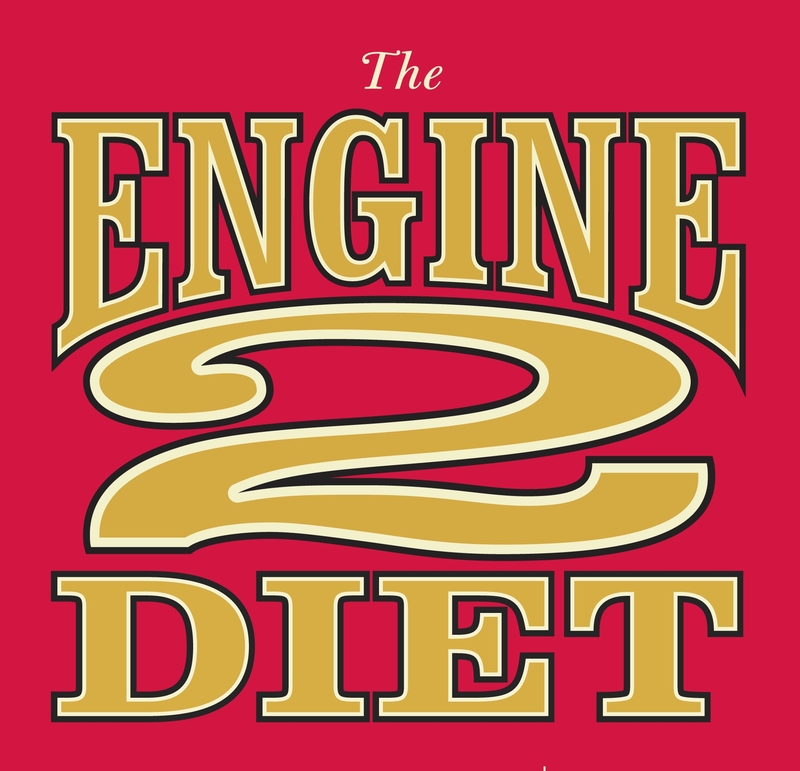 I went to an Engine 2 immersion weekend, found easy cookbooks, blogs, Facebook groups that gave me the information I needed to succeed. I remember sitting in a lecture at the Engine 2 conference when the speaker explained how to make oil-free French fries. I thought – OMG! If I can have French fries every day, I can definitely do this – lol! I developed a routine that simplified my life and set up both myself and my husband to be successful. First, every morsel of food in our house is compliant with WFPB eating. I made sure our kitchen had no oil, no cooking spray, and no “I Can’t Believe It’s Not Butter.” Second, I built up a good pantry of whole wheat flour, pure maple syrup, egg replacer (for example) so that an urge to splurge could be met by whipping up a quick batch of compliant muffins or cookies. Third, I would build a meal plan and shopping list on Friday nights for the following week. I’m at the grocery first thing Saturday morning, loading my cart with fresh, compliant food. Fourth, I batch cook certain things on the weekends, so that we have great dinners ready to go on those days when I’m too tired after work to cook. Fear. I was ashamed of accepting congratulations for weight loss and then gaining it back again over 38 years of dieting. I didn’t want to start something new unless I was sure it would work. If you try this, you can be free from all the heartache (and body aches) that weight issues have caused you if you just give this way of eating a shot. Try it 100% for a month. Cooking! I have never been a great cook, but suddenly I’m making great tasting meals that are reliable and repeatable. The cooking is easy and the cleanup even easier. I believed all the press about carbs being evil. I now know that hearty, satisfying carbs are the bedrock of successful weight loss. I did some research on my own and found that all whole carbs, even white potatoes, have more nutrition and less calories than any meat. What the heck? How is that not a headline? Why are “they” leading us astray? For the most part, this way of eating is so simple, you don’t need special stuff to make it happen. However, in the summer, I’m happy to have my food processor to make gazpacho. I have a cookbook of 50 gazpacho recipes. I pick one each week and make a big batch on Sunday. I eat it for lunch every day. So refreshing in the heat! I also love my VitaMix. I have both of these appliances and I would recommend them both, but overall I definitely reach for my VitaMix more frequently. It’s a totally different appliance than a standard blender and I use it to make my own veggie broth powder, “Teasecake”, cauliflower Alfredo, creamy soups, and on and on. I’m not highlighted anywhere else, but the McDougall Friends group on Facebook has countless stories like me and many supportive people to help you on your journey. Also, people are welcome to email me at [email protected] I’d be happy to encourage anyone on their weight loss journey. Thank you so much for sharing your inspirational story Nancy!